We would like to thank everyone for your business, thanks to you San Jose Mexican Grill has been in Yulee, FL for over five years. We welcome you and hope that you will enjoy your meal.We make quality food here and start with quality ingredients. At San Jose Mexican Grill, we use only the freshest, highest quality, and truly authentic ingredients. These include homemade salsa, fresh chips, real chile rellenos, and much more. 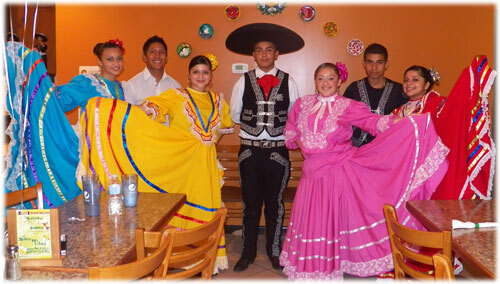 Our goal is to provide those who come to eat with a pleasant atmosphere, friendly service, and consistently good food. We would like to thank everyone for their patronage over the last year and a half. We are proud to have brought authentic Mexican food to Yulee and truly appreciate the families that have made us a success by dining here on a regular basis. We are two brothers that came from a small town in Mexico, named San Jose de la Paz. It is located in the state of Jalisco, which is close to Guadalajara. We have over 20 years experience in the restaurant industry.